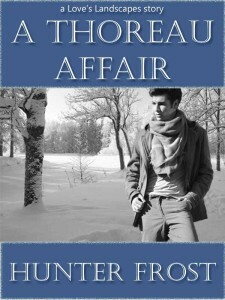 Release of “A Thoreau Affair” – Goodreads Love’s Landscapes Event! Today marks the release of my Love’s Landscapes story over on Goodreads through the M/M Romance Group. Former English professor, Dr. Lane Stevens, retired to the quiet seclusion of Tahoe to write his books. He never expected the one student he can’t seem to forget to seek him out and make a startling confession. The ebook will be available in a few days. This entry was posted in Books and tagged a thoreau affair, free reads, goodreads, Love's Landscapes, m/m romance. ← Release Day for the Men In Uniform Anthology from Torquere Press!